Fit Fluential Mom: October's 21 Day Fix Family Friendly Clean Eating Boot Camp! October's 21 Day Fix Family Friendly Clean Eating Boot Camp! Did you know that between Thanksgiving and Christmas Americans gain an average of 5-7 lbs? Overweight individuals tend to gain more than that? Why not get a hold of your bad habits BEFORE the holidays and make it a point NOT to gain weight this year!! How you ask? Well certainly not with some crazy workout and diet plan that leaves you starving. Who wants to do that around Halloween and fall when all things pumpkin are everywhere!? It's a pretty simple plan and anyone can do it, incorporate their family & even kids, into it. One of the biggest issues most people have with weight loss is not so much the working out part but the diet. Working out is part of it but you can workout all day long, if you generally have poor eating habits, nothing is gonna budge! 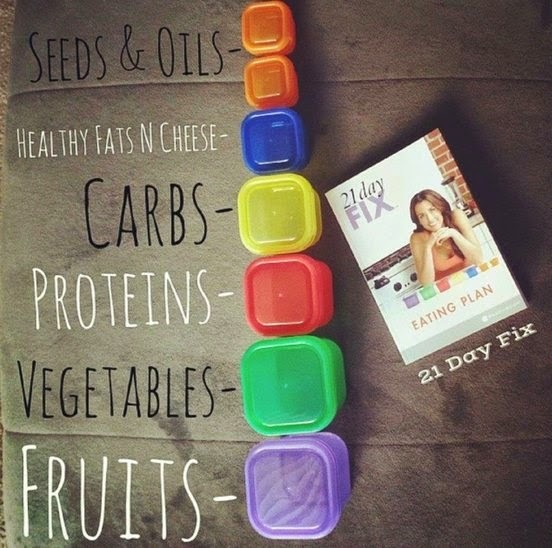 So, the 21 day fix is a nutrition plan (not a diet) that helps you establish healthy habits with food, eating the right portion sizes, getting all of your nutrients in, and doing it all with regular food. 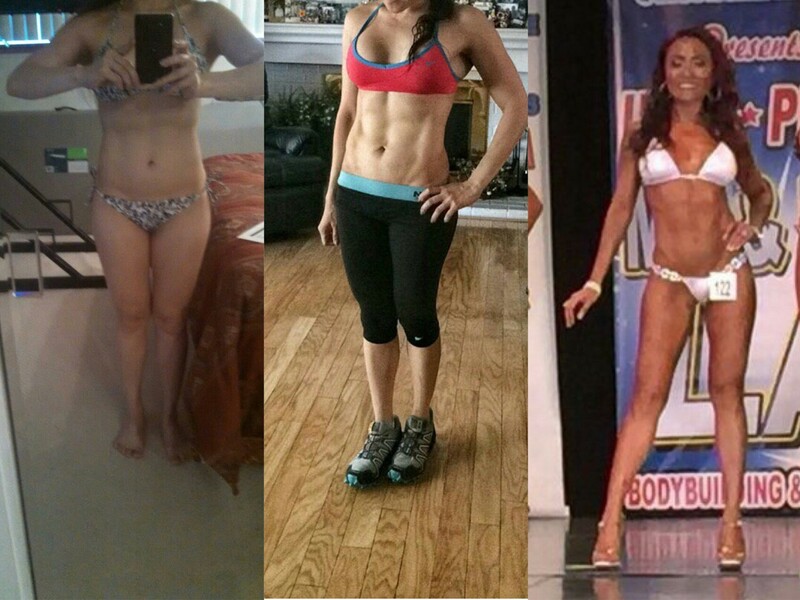 Not diet food and not depriving yourself or starving. 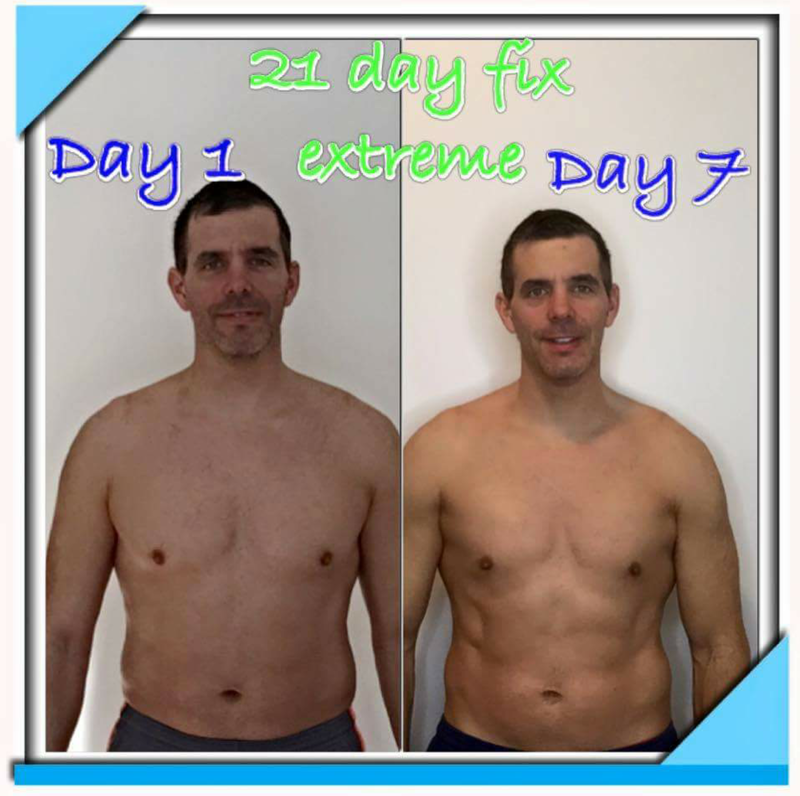 Its called the 21 Day Fix because it takes the average person 21 days to establish a habit, not because it will turn women into bikini models or men into Mr Olympia in 3 weeks. That's just not realistic and plans that promise that are too restrictive and not realistic. 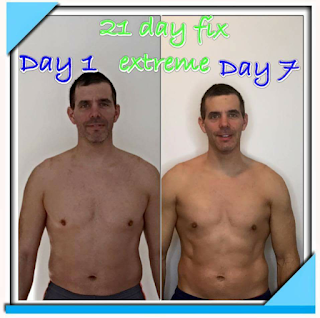 After 21 days of using the portion control containers the plan comes with & the guidance & tools in the boot camp, you should be able to eyeball portions and eat well throughout the day whether you're at work, home, a party, vacation, etc. You use them sort of as measuring cups when you have snacks, make a salad, a recipe, etc and then refer to them when you're out at a restaurant or party. After using them for a few weeks, you get a really good idea about what a proper portion looks like so it makes it simple. And you get TONS of healthy food suggestions for meals, snacks, recipes, etc so you can apply it for life! The plan comes with a LOT and I add a lot to it too in the boot camp. The boot camp is a private online support group of other women (and some husbands) learning the plan too. 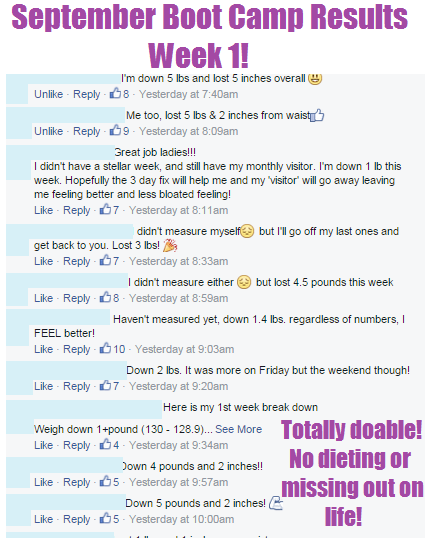 We share recipes, snack ideas, give each other support and keep each other accountable. A LOT of people get the program but have NO clue how to use it so it just sits there and goes untouched. 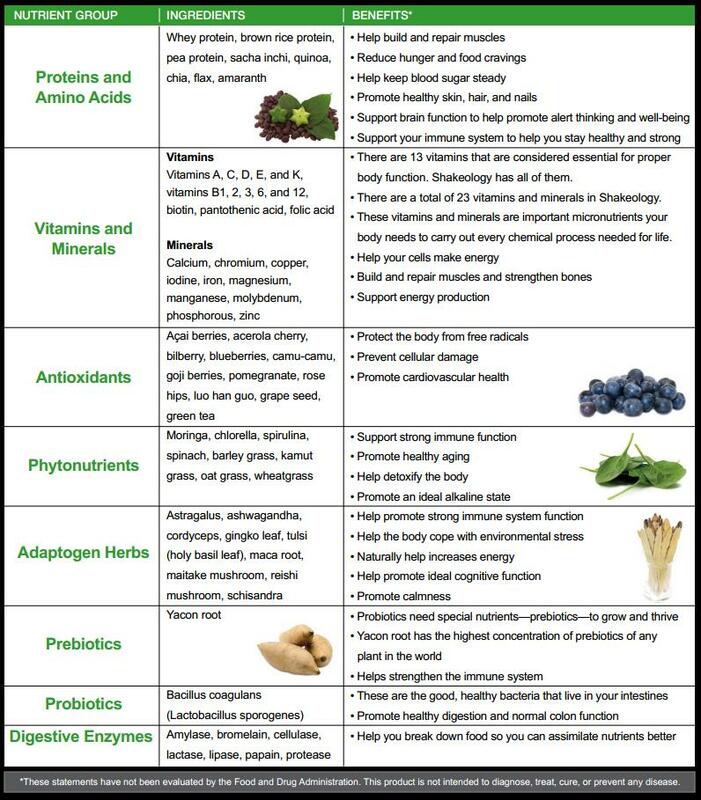 I REALLY believe in it and really want to help everyone realize how much it can help not only with weight (loss, gain or maintain) but healthy eating and getting your family to eat clean too! The plan comes with the following: --10 workouts you can do at home --7 portion control reference containers --Shakeology shaker cup --Month supply of shakeology --21 Day Fix Nutrition Guide & Recipe Book --3 Day Quick Fix plan (cleanse type of plan) --workout calendar --30 day money back guarantee where you can return any or all of it, even if it's used, if you aren't happy. And the boot camp isn't just one month. When you have the 21 Day Fix challenge pack, you're welcome to continue every day month free just for support or to keep reaching your goals. Some keep coming back just because they feel like it's a group of virtual friends we've made onlibe that support each other through the struggle of food, temptations and cravings. Basically life LOL! 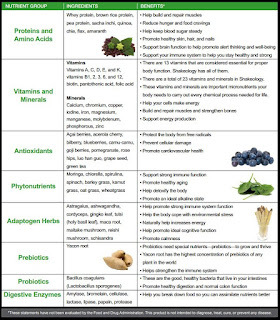 The Shakeology, if you aren't familiar with is a nutritional shake that has over 70 fruits & veggies in it plus protein and 23 vitamins and minerals. They regularly update the recipe too so they keep up with research and make changes accordingly. It helps curbs cravings for sweets BIG time, gives you energy (has natural caffeine from food such as gree tea), gives you a quick, easy, yummy way to get a breakfast or a morning snack in and a lot of people have seen benefits with thyroid disease, cholesterol, auto immune disorders, heart disease & other ailments with it. I was hesitant to try it for a LONG time. Just didn't buy into it and thought it was just all overrated hype. When I tried it though I loved it and it was the only shake I actually liked the taste of, didn't taste like chemicals and I was ok giving to my kids. And the fact that they give you 30 days to return it made my cheap self on a budget feel good buying it LOL. 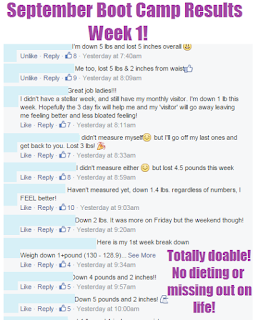 If I hated it or the 21 day fix, I could send 'em back and lose nothing. I always wanted to make my passion for fitness and nutrition into a career and when I tried this program, I thought it was genius!! Such an easy way to learn how to eat right AND eat what I like, not what a meal plan tells me Inhage to eat. I can follow it on weekdays & weekends without a problem or having to skip out on dinners with friends because I'm "on a diet"! And even kids can use it to learn how to eat right. Shae (my 6 yr old) tells me, "Mom I had a red, green, blue and yellow! 4 colors!" Because I tell her she needs at least 4 colors in each meal! So, that's it! Let me know what you think and if you want to start with us in October!! Shoot me an email at info@fitluentialmom.com or find me on Facebook and add me ===>>> FACEBOOK then send me a message saying you're IN!! !